Over the last few years, I’ve fallen madly for the cold countries. 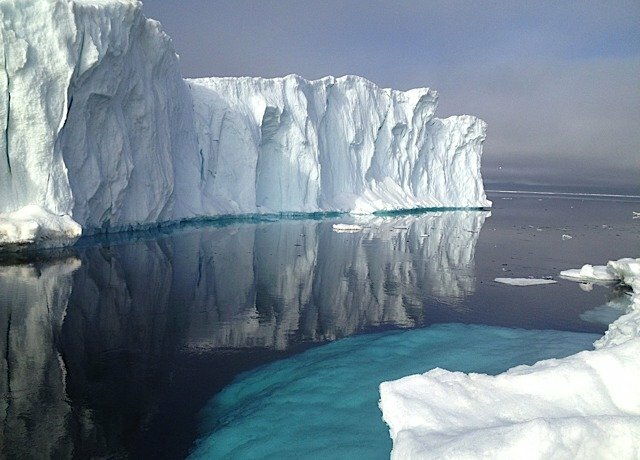 Places like Norway, Swedish Lapland and Greenland have captured my heart in a way a tropical island no longer can. 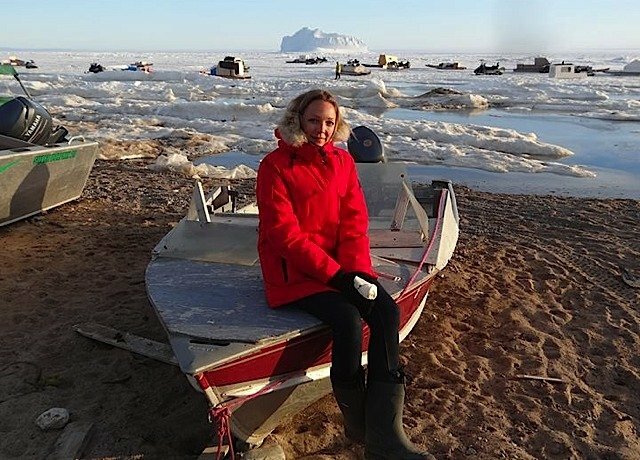 And this past June I got to add a new Arctic destination to my list of favorite frozen places during an expedition with Black Feather and Canada Goose to Pond Inlet, a tiny village of 1,500 people located 2,000 miles due north of Montreal in the Canadian Arctic territory of Nunavut. 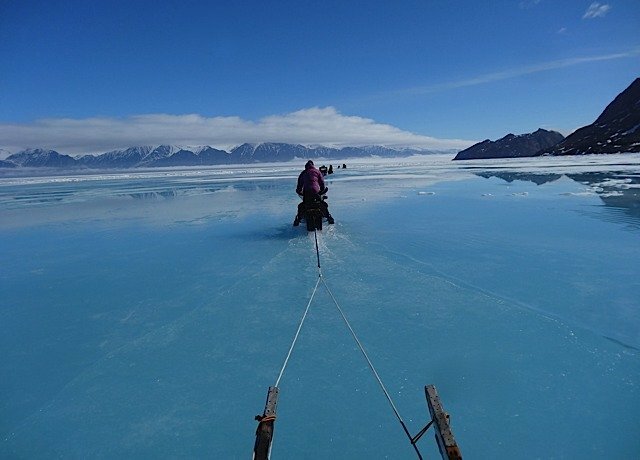 Our group traveled from Pond Inlet by qamutik, the traditional wooden sled of the Inuit pulled by SkiDoos across frozen sea ice that was still nearly two meters thick in mid-June. 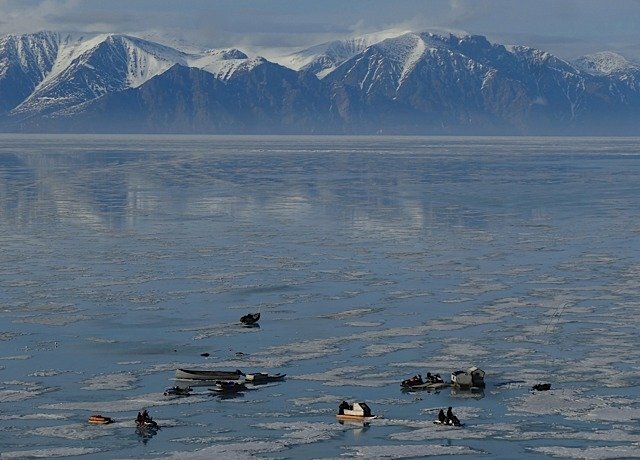 Some 40 miles later we reached the wildlife-rich area called Floe Edge, where the land-fast ice meets the open ocean and polar bears stalk seals, fat-bodied birds divebomb capelin and hundreds of narwhals gather to feast on Arctic char. 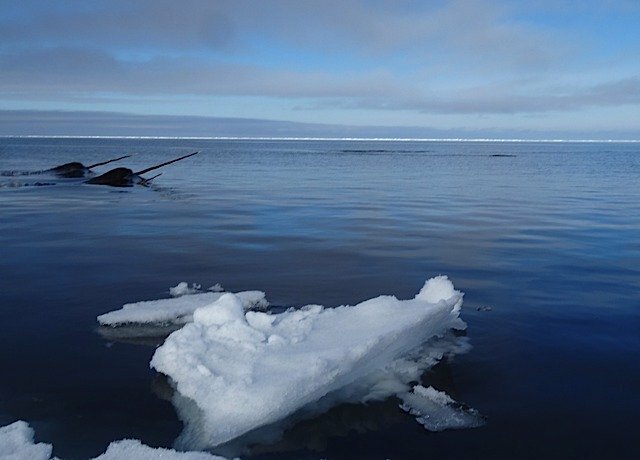 I can still hear the deep wah-whoosh of their breaths as the animals sliced the smooth surface of the water with their spiraling tusks (which are actually protruding teeth that can grow more than nine feet long). 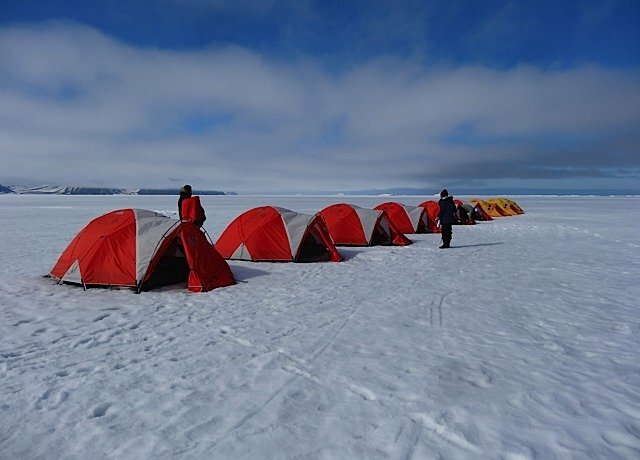 Nearby, not far from where our tents were perched on wooden platforms atop the sea ice, fresh polar bear tracks cut across the crunchy surface snow. Icebergs that had floated over from Greenland at some point, perhaps the previous summer, were frozen in place near our camp, only to be released to continue their peripatetic journey during the summer’s thaw, still several weeks away. 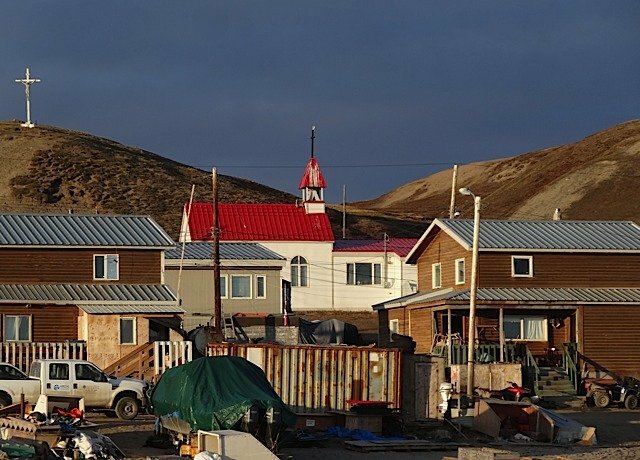 Back on the dusty streets of town, the children were particularly eager to chat up outsiders between pedaling their bikes on the recently unfrozen land and stalking lemmings living under their homes. 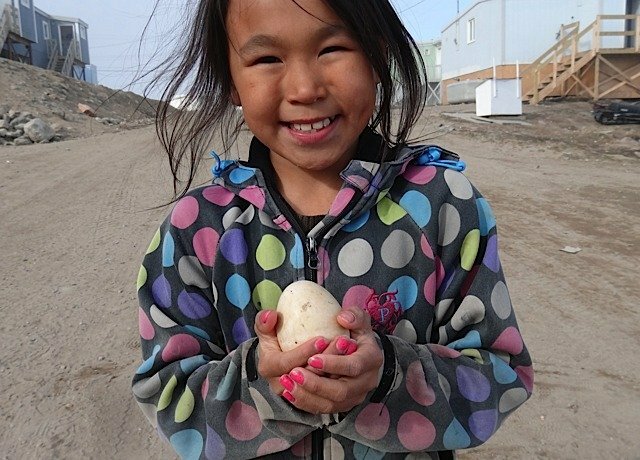 Natasha was keen to show me a goose egg (the feathered friend who’d laid it had minutes before been slaughtered for the pot). When I saw her the next day, the egg had hatched. 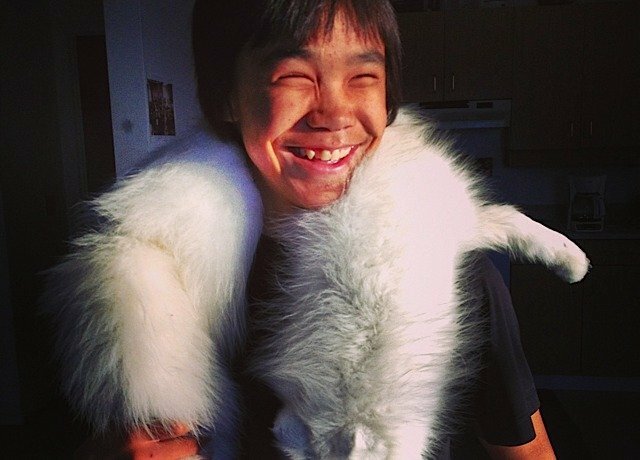 Judah invited me into his house to show off a few hunting trophies, including this pelt made from Arctic Fox (the easiest way to kill the animals, he explained rather anti-climatically, is to hit them with a SkiDoo). If ever there were a more magical place on this planet, I have yet to see it. You can read more about my trip to Nunavut here.